Setouchi City, Okayama Prefecture is one of the most suitable areas in Japan for solar power generation thanks to the strong sun, warm and mild climate and low risk of natural disasters. 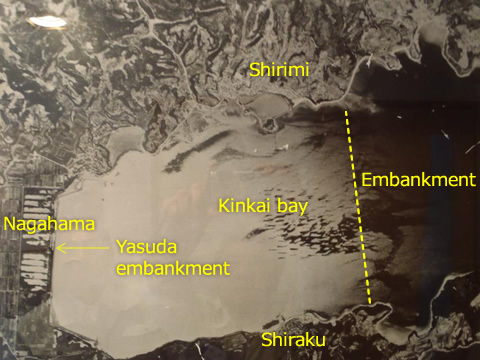 The former Kinkai Salt Field is in the center of Setouchi City and the total area is approximately 500 hectares stretching east to west for about 2.8㎞ and north to south for about 1.8km along the Kinkai Bay. 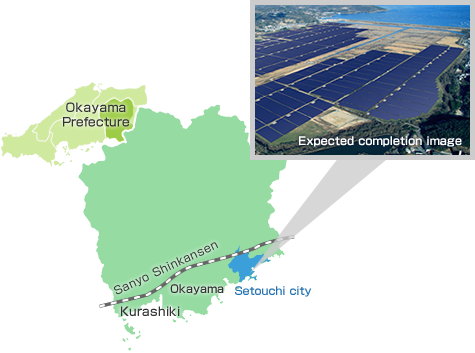 This will be Japan's largest photovoltaic power plant to take advantage of the land available in Setouchi City and favorable climate. 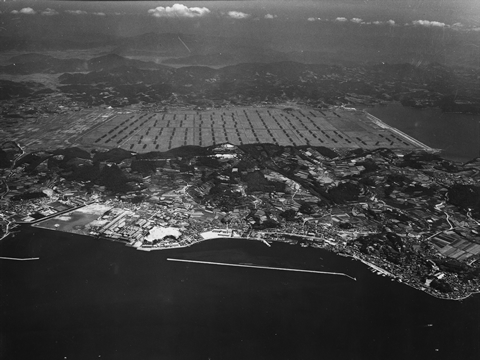 In 1956, the land reclamation started for the salt field construction. 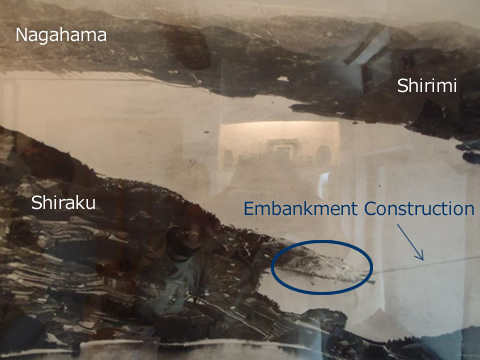 The soil from the mountain (circled) was used for the reclamation. The soil being transported to the embankment. The wire-based machine, not oil hydlaut one, was used at the time. 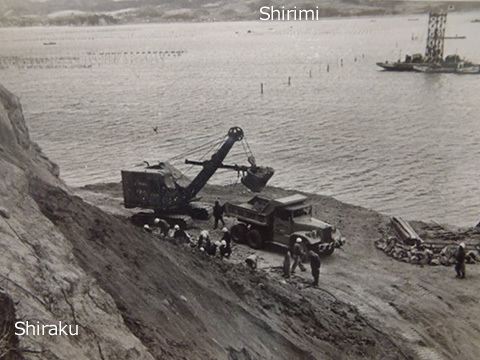 Embankment construction observed from Shiraku in the south side of the site. 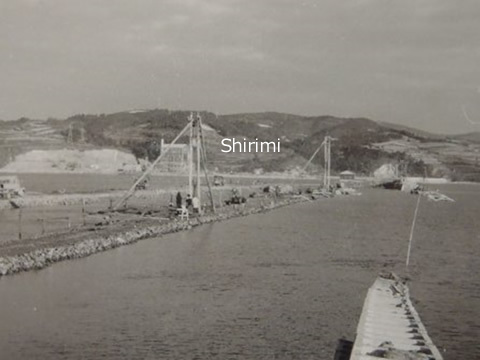 Due to the soft ground of the area, the embankment collapsed before the works from the north side and the south side were connected in the center. 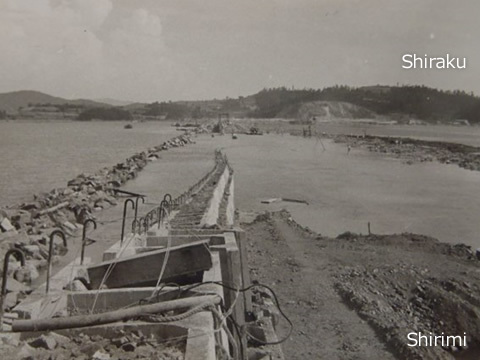 Three days after the embankment collapsed, the construction area turned back to the ocean just like before the construction. The water pumped out of the embankment during the construction was all back inside. 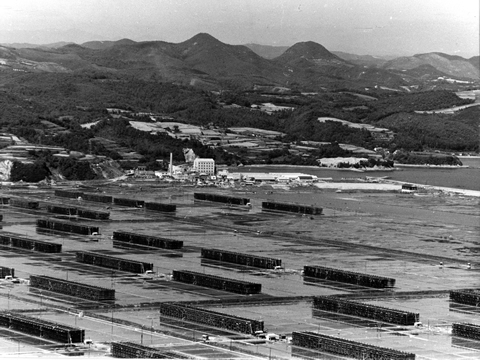 In 1962, salt production was started. 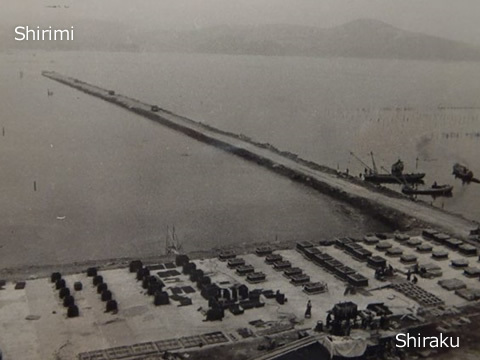 After 6 years of the reclamation work in Kikai Bay, the salt field construction was finally completed. 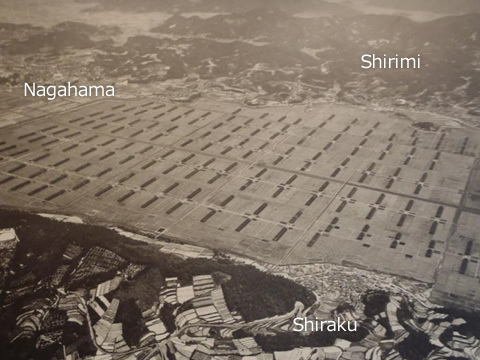 The salt field, the largest "sloping salt-terrace method" salt field in the Orient, started the operation in 1962. At the time, the labor intensive "channeled salt-terrace method" was common and the sloping method using the evaporation racks with fine bamboo branches was very innovative. In 1971, the sea salt production method changed to "ion-exchange membrane electrodialysis method". In 2002, salt production was ceased. 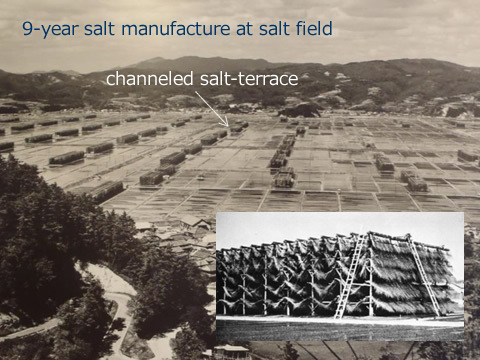 With invention of the electrical sea production method, history of the "sloping salt-terrace method" salt field ended after 9 years of operation. 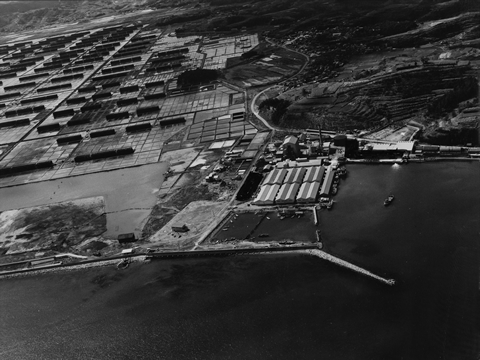 Afterward, the former salt field was used as an industrial waste disposal site. 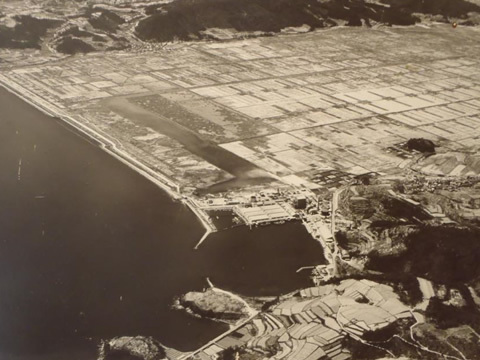 In 2009, with bankruptcy of the salt field owner, Kinkai Engyo corporation, ownership of the land had moved to Setouchi City. In 2012, our project was proudly selected in the competition organized by the City for planning and execution of the ex-salt field land utilization.